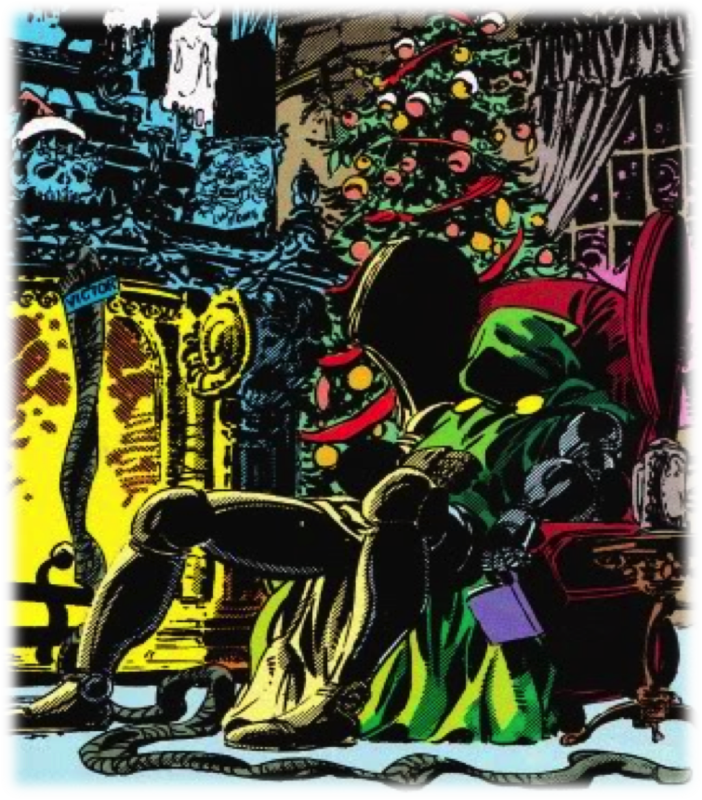 Doctor Victor von Doom, the on-and-off dictator of Latveria, hates Christmas. It gives people hope, encourages them to celebrate things that aren’t Doom himself, and takes attention away from the Latverian national holiday Doom-mas. But one thing that intrigues Doom about the holiday is its mysterious symbol: Santa Claus. The man in the red and white suit, despite his bulging gut and annoying laugh, has somehow managed to unlock a secret of temporal control, allowing him to travel the entire world in a single night. And that’s not all! To Doom’s great mirth, Santa also seems to have an entire race of enslaved servitor elves to do his bidding! Just think of the Doom-bots that could be produced if Latveria controlled the North Pole factories! This short one-act Event for the Marvel Heroic Roleplaying Game is designed to provide a short holiday break for you and your players and should be enough material to fill one gaming session. It is very loosely based on Scott Lobdell and John Byrne’s 1991 short comic entitled “I’ll Be Doom For Christmas,” and the art included is from that book. If you and your MHRP players are ready to save Christmas, download the Event below! As always, please let us know how it goes! Merry Christmas to all, and to all a good night! I am a historian, a medievalist, a gamer, a nerd or geek of various sorts, a musician, a Pirate, and a wanna-be cowboy. I'm also a teacher and study abroad program runner, so updates may be infrequent. David, glad you like it! I hoped it would be a fun little Event people would want to run. Also, once I get back to the US next week, I hope to run it via Google+, so stick around for announcements and/or follow me on Twitter (@RTGoodman)! Totally already have it planned to be run twice. I love it. I also wrote one for my group and I used Doom as the evil one too. It just is so fitting for him to be the bad santa. Just stumbled upon this because we just created a few Marvel Post-its on our site. Loved the idea and with no game going last night sheduled it in. It was a great evening thanks for the fun event. If you like session report will be available on RPG Geek. Thanks for the compliments and shares! Glad you guys like it! I don’t know anything about RPG Geek, but I’d love to read it if you send me a link! RPG Geek (as the smaller brother of BGG) has the biggest onine database with RPG. And a great community. I plan to spice up the Rockfeller scene with a mall elf mob. Do you guys have any ideas for the distinctions? Yeah, here are a few ideas, some more cynical than others. -I Don’t Get Paid Enough for This! Just found this. Gonna run it with my kids this holiday break! 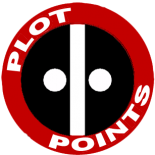 This entry was posted on December 3, 2013 by RTGoodman in Events and tagged Christmas, Comics, Doctor Doom, Events, Marvel, Marvel Heroic Roleplaying.